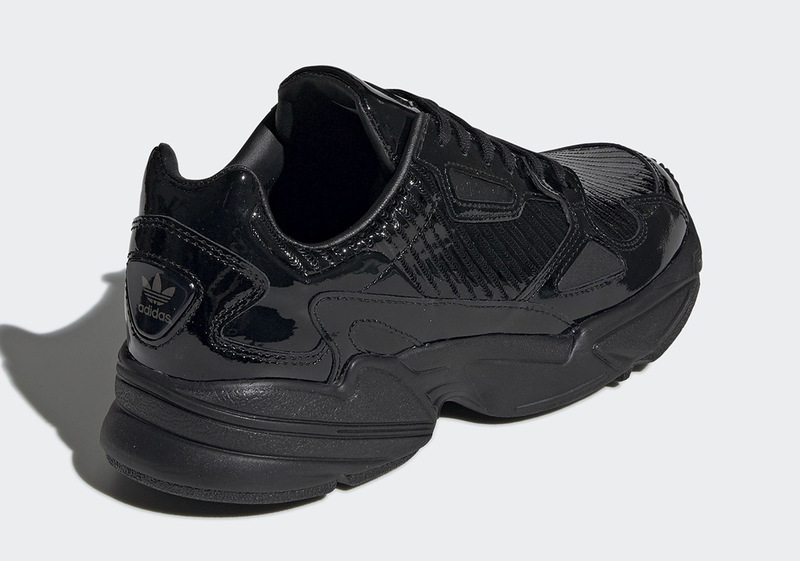 Acting as the Three Stripe’s ladies-only entrant into the chunky, “dad” shoe market, the adidas Falcon continues to be introduced in unique color schemes and constructions, while being aggressively marketed by pop-culture icon Kylie Jenner. For the newest rendition, the Falcon calls upon glossy, patent leather uppers, with diagonally-striped textured underlays in an effort to spice things up from the norm. 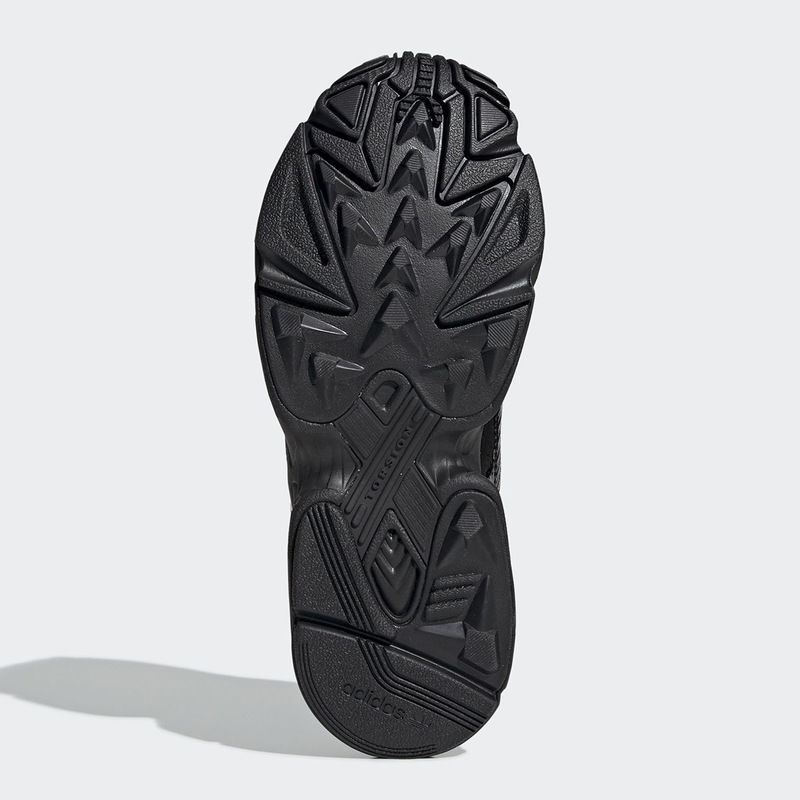 Other than its glistening textiles, this Falcon is kept nice and simple with a triple black color scheme throughout and a new-look custom insole serving as one of the only reprises from its blacked out look. 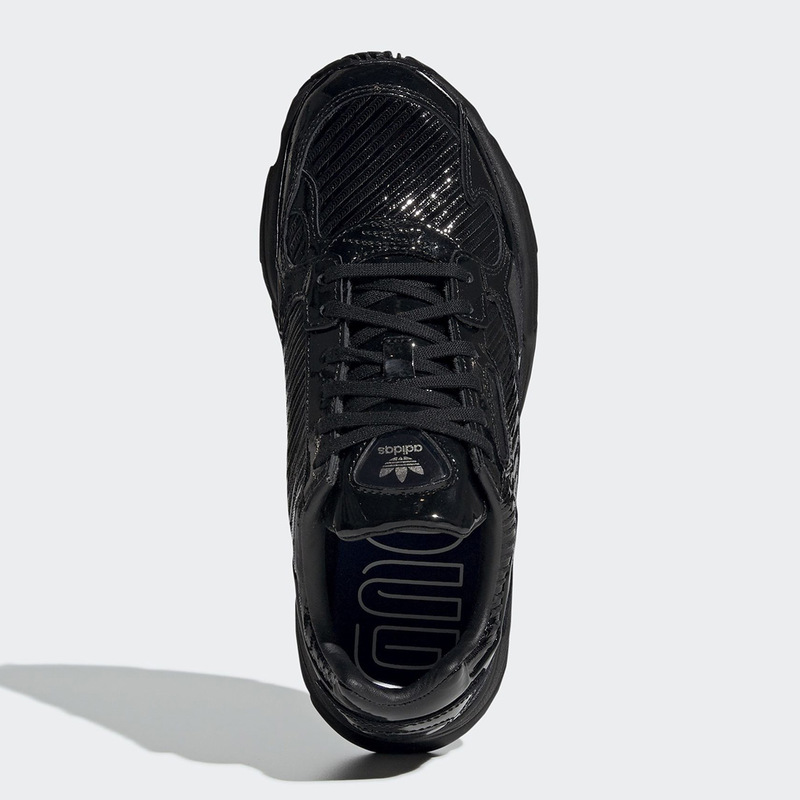 Female fans looking to add another head-turning iteration to their lineup today can enjoy a detailed look below and head over to adidas.com to grab one for a slightly higher MSRP of $130 USD. 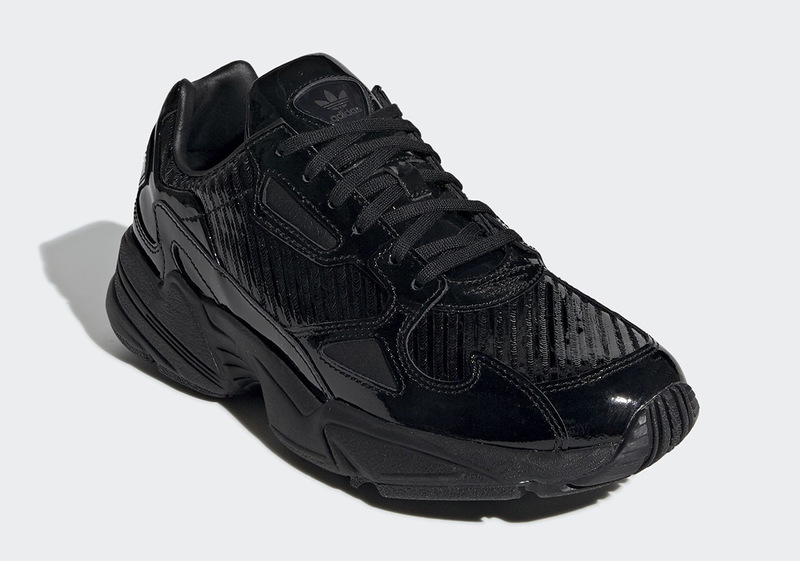 The post The adidas Falcon Is Dropping Soon In Glossy Black Textured Uppers appeared first on Sneaker News.